Richard Bolan, professor emeritus of planning and public affairs, is on the faculty of the Humphrey Institute of Public Affairs at the University of Minnesota. Bolan has been an urban planner for 60 years, earning a master's degree in city planning from the Massachusetts Institute of Technology (MIT) in 1956. In those 60 years, Bolan experienced four different career phases beginning with eight years of practice experience, followed by a period at the former Joint Center for Urban Studies of MIT and Harvard. 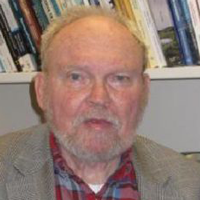 From there he joined the faculty of Boston College, where he published numerous contributions to planning theory. In 1985 he moved to the Humphrey Institute at the University of Minnesota, where he engaged in international work focusing on Central and Eastern Europe and wrote about the failed role of planning in the fall of communism and essential works in environmental remedial work for an extremely polluted region. He has continued teaching since officially retiring in 1988 with current responsibilities teaching planning theory at the doctoral level. He has just completed a book being considered for publication, titled Urban Planning's Philosophical Entanglements: The Rugged Dialectical Path from Knowledge to Action. Legend has it that back in the real old days, young people listened to the elderly in the hopes of hearing wisdom. I'm not sure that this can really happen today because so many things are happening so rapidly that it's hard to imagine an elderly person truly on top of things. After teaching geographic information systems (GIS) for a number of years, I gave my last GIS class on my 85th birthday: GIS was just moving more quickly than I could keep up. Fortunately, it has been easier to keep up with urban planning theory, and I'm still teaching a doctoral theory class in our new PhD program. The key point for younger readers is that your own career is probably very unpredictable given climate change, global urbanization, intriguing demographic shifts, future technology, growing inequality, and tribal warfare. Flexibility, curiosity, creativity, and openness to new and changing world conditions are even more important today than in the 1950s when I was first being challenged. I came from a family of three generations who graduated from the Massachusetts Institute of Technology (MIT). I rebelled and went to Yale. At Yale, I took a course in my junior year called “Introduction to City Planning” taught by Christopher Tunnard. After two stints in the military and after undertaking courses in electrical engineering and civil engineering, Tunnard's course became the defining moment for my career choice. I took a couple more of Yale's planning courses and then entered graduate school back at the family stomping grounds at MIT where, in June 1956, I received the Master in City Planning (MCP) degree. Most of my career can be summed up as an academic. However, I have been constantly influenced from having almost a decade of practice experience. As an academic, even when delving into the arcane ontological depths of planning philosophy and theory, my focus has been on how planning practice takes place, including issues of practice in diverse institutional and cultural settings. My planning career has had four quite distinct phases. Since becoming an urban planner in 1956 my career represents a series of challenges. Being an urban planner has pushed me to continually seek to learn, to grow, and to be curious enough to try new things in a very new, diverse, and expanding professional occupational endeavor. From 1956 to 1964, I was a practicing planner. The experience included work in various parts of New England, but chiefly in Boston. This period also included working in regional planning for the State of Massachusetts, where the politics of the job was, to put it mildly, “hard ball” surrounded by a dubious ethical culture. Overall, the practitioner -experience — both good and bad — was highly formative in my later career as teacher and mentor. My first job was with the Providence (RI) Redevelopment Authority. When I began the job, an urban redevelopment clearance project was in the works. Unfortunately, there were two very valuable historical buildings in the project area. My first assigned task was to develop a plan for moving those buildings to a site outside the project area. Nothing in my planning education prepared me for this task. I did manage to get it done with a plan that included serious disruptions of blocking streets and interfering with utilities. Apparently, this was considered okay. My boss in Providence, Donald Graham, later in 1960 took a job heading up the staff of the Boston City Planning Board, and he brought me in as Director of Comprehensive Planning and Research. In 1962, the State of Massachusetts formed a Mass Transportation Commission. The U.S. Bureau of Public Roads awarded the Commission a $5 million grant to develop an integrated transportation–land use plan for the Boston Metropolitan Area (patterned after work in Chicago, Detroit, and Philadelphia). Donald Graham and I, now a team, were hired to staff the program: Don as executive director and I as the technical director of planning. Technical progress was notable in my two-year term with the project, including completion of a regional origin-destination study and a full regional land use inventory. Policy and planning recommendations did not run smoothly, however, and I got a very strong and nasty education in the Machiavellian, dubious ethical inner workings of Massachusetts state politics. So much so that when, in 1964, I received an invitation to join the Joint Center for Urban Studies of MIT and Harvard, I accepted without hesitation. Later in my career, I took the Myers-Briggs personality test and learned that I was an “introvert.” This presumably would not be helpful for someone to supervise a large technical staff and to work effectively with citizen groups. For those among the readers who are introverts, my message would be that you can still be a supervisor, a teacher, and a community organizer. The trick is to work with people as colleagues — not as subordinates or uninformed clients — with mutual eyes on community objectives, and to work with an open mind. In the second phase of my career, I worked at the Joint Center for Urban Studies of MIT and Harvard. This provided an important transitional period in which I had an opportunity to reflect and develop an overview of my eight years of practice experience, while at the same time fulfilling consultative studies in housing and regional planning. At the Joint Center, I organized a series of policy sessions for the newly formed Boston Metropolitan Planning Council in which we brought together leading scholars and practitioners from Harvard, MIT, and elsewhere. This culminated in my editing a book outlining strategy and policy recommendations for the Council, which the director, Robert Davidson, tended to follow during his tenure (Metropolitan Area Planning Council. In addition, at the same time, I oversaw a program for the City of New York conducting an evaluation of a pilot project for rehabilitating the city's so-called “old law tenements.” The focus of this study took place on single blocks in Harlem and East Harlem. While at the Joint Center, I became acquainted with John Friedmann. John was very instrumental in helping me make some sense of my rather traumatic experience with the Eastern Massachusetts Regional Planning Project. Not only did I have firsthand knowledge that planning takes place in a highly political environment, but his work began to shape my own sense of how to study and teach this. In this period I also did guest teaching at the Boston Architectural Center, Boston College, and New York University. This provided an opportunity to teach an alternative view of planning practice with a focus on the influence of institutional and political frameworks and participatory processes. At the Joint Center, I formulated my first publication in a professional planning journal. “Emerging Views of Planning” was published in the AIP Journal in 1967. The article was reprinted numerous times in both the United States and in other countries. For many years this essay was on the reading list for the AICP examination. In it, I challenged the orthodox view of the planning process at that time, which was based largely on the conceived dominance of the comprehensive plan as the centerpiece of the planning process. The dominant notion of the planner's role was of a top-down professional providing technically appropriate plans to a client, much along the lines of an architect, engineer, or medical doctor. I suggested that planning exists in highly diverse political and economic environments and offered a conceptual framework for a more diverse and realistic view of the nature of planning practice. My three years at the Joint Center also coincided with the period of great unrest in American cities (as fully spelled out in the 1968 report of the Kerner Commission). Commission members included Otto Kerner, governor of Illinois; John Lindsay, mayor of New York; and Roy Wilkins, executive director of the NAACP. The report included protests against the planning of urban renewal and urban expressways. It was a period when the basic conceptual foundations of urban planning needed sharp revision. I felt this firsthand while carrying out an evaluation of a housing renewal project in Harlem on 114th Street. Before the widespread riots nationally, I could walk up and down the block we were working on with no problem. People went about their normal activity, I was no stranger, and we got along well. After the riots of 1967, when I appeared, the block immediately depopulated; the block was absolutely empty. I also had a very tense meeting at that time with resident Black leaders since they wanted to prohibit our planned survey research unless residents in the block were hired as interviewers. Fortunately, we worked it out! We selected the interviewers, but their committee had to approve the survey instrument. In my third phase, in 1967, I accepted an academic post at the Boston College School of Social Work to teach community planning and community organization. In this position, I worked with very able colleagues — Edmund Burke, Fred Ahearn, and Victor Capoccia — who helped me with my teaching as well as my thinking from a community organization and social planning point of view. I also earned a Ph.D. at New York University (NYU), commuting weekly on the Eastern Airlines shuttle (and teaching a planning theory course at NYU in the evening to help pay tuition). Early on at Boston College, I developed perhaps my best-known article in the American Institute of Planners Journal, “Community Decision Behavior: The Culture of Planning” (1969). The article contained a series of hypotheses that became the framework for my Ph.D. dissertation that examined case studies in Boston, New York, and Pittsburgh. Working closely with psychologist–statistician Ronald Nuttall, the dissertation was published by Lexington Books. Urban planning and politics. A third article appeared in 1971 titled “The Social Relations of the Planner” in the Journal of the American Institute of Planners, which focused on the dynamics of interpersonal relations in the power settings where planners practiced. These articles over a four-year period conveyed my view of planning practice: not as a purely technical activity aloof and apart from institutional and political contexts, but as an activity in which the planner is very much immersed in complex social, political, and economic relations. I argued that there are dynamic forces in those relationships that can best be learned from social psychology and by understanding the contexts of community organization. These ideas preceded what later became known as the “communicative turn” in planning in the 1980s and 1990s, led by John Forester. The “communicative turn” is now widely accepted in urban planning in the 21st century. Yet when my articles were published, the professional top-down technical role of the planner was the dominant image of appropriate practice (still with the comprehensive plan as the centerpiece). A fourth article set forth the notion that the most important facet of planning practice was that the practitioner was, in fact, the ultimate theorist: the theorist that truly counted. “The Practitioner as Theorist: The Phenomenology of the Professional Episode” explored this idea. Influenced by the literature in phenomenology, social psychology, and the writings of Donald Schön of MIT, this article stressed that planning practitioners in leadership roles are continually formulating “hypotheses”: about the “on-the-ground” consequences of proposals, about their costs and benefits, and also about the likely interests and behaviors of commissioners, council members, stakeholders, the media, and the general public. Both assumptions and hypotheses are formulated in the practitioner's mind concerning the distribution of power in the particular setting and about the best strategies for encountering power and moving planning proposals forward. During the course of a planning episode, assumptions and hypotheses are tested, modified, and adjusted as events unfold. I have always strongly emphasized this to students, whether I am speaking with them in class or in informal settings. In any given planning event, the theory that really counts is that formed by the practicing planner and his/her collaborators. In my view, the development of a theoretical mind is vital to successful practice. My hobby outside of planning is playing jazz piano. This activity dramatically portrays the strong, essential relationship between theory and performance. As a practitioner, I also learned about the gap between descriptive explanation and normative understanding. Planning proposals are prescriptions: efforts to make a better community. From this, planners cannot avoid the fundamentals of ethics. In 1982, I gave a presentation to the Association of Collegiate Schools of Planning that was later published in one of the early issues of the Journal of Planning Education and Research. “The Structure of Ethical Choice in Planning Practice”, presented a three-way matrix of forces impinging on ethical choices: a) differing levels and communities of obligation, b) inherited or received ideals, and c) the countervailing forces of specific situations (including forces within an agency bureaucracy). The major difference in my thinking today is that the differing levels and communities of obligation are vastly more numerous and complex today. In addition, specific situations can be even more knotty with countervailing forces, values, and contradictions in very challenging organizational groupings. Thus the nature of my most important writings of this period dealt not so much with empirical research as with thinking through the basic foundations, or logical underpinnings, of the philosophy and practice of planning. The emphasis has been on learning about different ways to conceive of the role and skills of the professional planner. My writings were the basis by which I became known as a planning theorist, yet they emerged heavily influenced by my own past experience as a practicing planner as well as through informal conversations and structured interviews with many other practitioner planners. My focus on planning theory was heavily influenced by exposure to strong undergraduate courses in philosophy at Yale along with a course in the philosophy of science taught by Lloyd Rodwin at MIT. My interest in philosophy was greatly expanded by faculty friends in the Boston College Philosophy Department, who kindly let me sit in on their courses. I especially thank Bill Richardson and David Rasmussen. Also at Boston College, I was privileged to meet visiting European scholars such as Jurgen Habermas and Hans-George Gadamer. Most planning theorists have read Habermas, but I was lucky enough to attend a seminar he offered at Boston College. These became the roots of how I approached planning theory. Important in this regard was study of Heidegger, Merleau-Ponty, Habermas, Ricoeur, and Gadamer, among others. However, as a theorist, I have never forgotten my practitioner years: The experience (both the good and the bad) of those years still influences my thinking. The fourth phase of my career began in 1985 when I moved to the Hubert H. Humphrey Institute of Public Affairs at the University of Minnesota (now the Hubert H. Humphrey School of Public Affairs). This post opened up an unusual chance to work at the international level. Early on I met social work professors David Hollister and Rama Pandy, who introduced me to participation in international social development conferences in Japan, Hong Kong, Sweden, Costa Rica, and Mexico. These opportunities helped develop further insight in understanding the influence of differing institutional, cultural, and political settings in which planning takes place at both local and national levels. Fortuitously, about the time I arrived in Minnesota, the Humphrey Institute provided sanctuary to a Polish expatriate, Zbigniew Bochniarz. I teamed up with Dr. Bochniarz for a program of policy studies in Central and Eastern Europe. This was in 1989, an extraordinary historical period in which Solidarity had managed to dislodge the communist government in Poland, creating a domino effect throughout the region in Hungary, Czechoslovakia, East Germany, Romania, and Bulgaria. The greatest international symbol of the fall of communism in the Warsaw Pact countries was the tearing down of the Berlin Wall separating East and West Berlin in November 1989. Each of the countries, to varying degrees, embarked on plans to change to market-based open democracies. Thus for a planning theorist, I saw this as a unique opportunity to observe rapid social, economic, and institutional change. As events turned out, Dr. Bochniarz and I were not mere observers, but became active participants in the change process in many of these countries. Beginning in Poland (with funding from U.S. foundations), we developed a program that produced a series of “blueprints” for environmental reform and sustainable development. These blueprints were created as a result of conferences and workshops with experts from the United States, the host countries for each conference, and representatives of other regional countries. Representatives of host countries included ministers of the new governments. The conferences and workshops were preceded on my part by in-depth historical research and interview programs. The process began in Poland, moved to Czechoslovakia. Interestingly, I was in Bratislava at the time of the movement to separate Slovakia from the Czech Republic. I witnessed a spirited protest action in a park on the Danube River (although I understood very little of what was spoken). Unexpectedly, the Czech prime minister later agreed to a peaceful separation. View all notes then to Hungary, and finally to Bulgaria. After developing a set of challenges — institutional, economic, social, regional, and local — the blueprints provided a comprehensive set of environmental, economic, and institutional recommendations. The blueprints had considerable success in assisting these countries in their transformation. The most marked success was in Poland, where the Polish Parliament adopted almost all of the blueprint recommendations. Some of the recommendations implemented included successful negotiation of “debt for nature” swaps, and the creation of a national environmental trust fund (similar to the U.S. highway trust fund but for environmental investments). The trust fund became the basis for much public capital investment at the local and regional level. Also implemented was the creation of a private environmental bank that became the source for private investment in environmental cleanup as firms moved away from state ownership to private ownership. Poland in 1989 had been described as the most polluted nation on Earth. This was no longer the case by 1995. Dr. Bochniarz and I coauthored a comprehensive short-term history — Poland's Path to Sustainable Development: a study providing the full account of local and national activity in environmental planning in Poland in those years. In chapter 3 of this work, I laid out a theoretical framework for institutional change working from both the theoretical literature of that time and the observed ongoing events occurring in Poland. This included my formulation of the primary details of the dialectical relationship between agency and structure that had been first laid out in simple form by Anthony Giddens. The framework hypothesized included the rules, roles, and levels of institutional aspects in dialectical relationship with an outline of agency interests, voluntary collectivities, and roles. This laid out a theoretical framework for analyzing and interpreting local and national progress in moving away from communism to a democratic, free-market state. From my work in the Warsaw Pact nations, I presented and published a number of papers on this experience. Essays were published in the Journal of the American Planning Association and in other peer-reviewed journals, as well as in edited anthologies published in the United States and in Poland. Presentations of thinking about institutional design were also given to conferences of the Association of Collegiate Schools of Planning, conferences on planning science in Palermo and Caserta in Italy, in Costa Rica, and at the University of Łódz´ in Poland. From this experience, I saw the dramatic limitations of central planning as had been practiced in the Soviet Union and in Warsaw Pact nations. This led to developing the concept of what I call the “Institutional Space for Planning,” based on the interactions of institutional structures and the active agency of individuals (based on the structuration theory of Anthony Giddens). Many in the United States like to think that Ronald Reagan brought down the Soviet Union. That's definitely not true: The Soviet Union imploded from within, and a major contribution to its downfall was top-down central planning. One anecdote, as reported in the literature, described the problems of a major military factory trying to work to achieve centrally imposed five-year productivity plans. They were unable to secure the raw materials required to meet their targets through the state apparatus. Instead, they had to rely on black market sources. Ironically, there existed, in fact, a free market in operation, but it was illegal and underground. In the final analysis, however, central planning from a dictatorship assumes that the planners have comprehensive, complete, and fully accurate economic and sociological information from which central analysis, mathematical modeling, and rational decisions will lead to an optimal, full, and progressive prosperity. The assumption of such absolute knowledge is clearly erroneous, as many social scientists and philosophers have lucidly illustrated. Travel in this region offered a whole new education for me as a planning professional. I visited Moscow and Leningrad (now St. Petersburg) as well as the Baltic states in 1988. Working in Central and Eastern Europe meant becoming even more intimately familiar with their experience as outposts of the Soviet Union. This led me to observe the question of what is an appropriate institutional framework for urban planning. In one presentation, I noted research conducted in the 1930s: an experiment with groups of elementary school children. One group was ruled by a teacher who was an absolute dictator; a second group was ruled by a laissez-faire overseer who pretty much let the children do what they wanted; and a third group was led by a teacher who worked with the students by providing what was termed a “democratic” environment with teacher and students jointly framing rules and projects. The evaluation at the end of the experiment showed that the democratic environment resulted in the most learning by a large margin. One could compare this with national environments for urban planning; the dictatorial regime of the Soviet Union with rigid central planning experienced comprehensive failure. One can also see the difficulties of urban planning in the relatively laissez-faire situations in the United States. Urban planning has historically been perceived as being much more effective in more progressive democracies such as England or Scandinavian countries (particularly Sweden and Finland). Environmental planning has always been an interest of mine, probably stemming from my undergraduate education in civil engineering. The work in Central and Eastern Europe involved a predominant attention to the very serious environmental problems of that region. Thus immediately after my official retirement in 1988, I began team-teaching a course at the Humphrey Institute in environmental planning with Professor David Pitt, a member of the landscape architecture faculty. Pitt was also trained in urban planning, and together we produced a very rigorous course involving not only technical analytical skills, but also the historical and current framework of environmental law and policy in the United States. We taught this course for about six years (David is still teaching it). I also published a philosophically oriented piece about human and environmental relations titled “Saving Time — Losing Ground”. I am presently in my retirement phase after 60 years as an urban planner and academic. My official retirement was in June 1988. Since that time I've been a part-time teacher at the Humphrey School with the title professor emeritus. This included the above-mentioned environmental planning course. Also around 1995, reverting back to very early experience, I was intrigued with the idea of computer preparation of maps. During the Korean War I was a cartographer in the Air Force, and I had also had experience as a surveyor. I was well acquainted with the work and the hours it took to manually produce useful, accurate, attractive, and readable maps. To do this on a computer in a matter of minutes was most intriguing. So I began teaching GIS from 1995 until my last class in 2012 on my 85th birthday. During this period, I also taught a course on scenario land use planning using the CommunityViz software. Recently, the Humphrey School launched a new PhD program. So once again I am teaching a course in planning theory, this time at the PhD level. This coincided with my completion in November 2015 of a book titled Urban Planning's Philosophical Entanglements: The Rugged, Dialectical Path from Knowledge to Action. The more I observe and participate in planning activities, the more my 1980 article “The Practitioner as Theorist” is reaffirmed for me. Planners engaged in top levels of responsibility and leadership find they develop theories of action that will provide one or more hypotheses as to how to best maneuver the difficult institutional and organizational frameworks that can enable or resist progress from a design idea to full implementation. Prepared theories of action sometimes fail (as do physical or social science theories), requiring the planner to modify and adjust his/her action theory to keep the proposed idea moving forward: in other words, create a new and better theory of action. In short, today I still recommend students and teachers alike reread and reabsorb the works of Donald Schön. His writings are universally timeless and speak to the fundamental core of professional action. Since planning always takes place in a political milieu, we must, as a result, have profound insight into events going on, including deep perception of the people participating in those events and a sense of their likely behavior in relation to a new idea. The book I have recently completed stresses that an urban planner of today needs to be able to function while immersed in a world of uncertainty: not only uncertainty in fully understanding the immediate world of the present (and its past), but also strong uncertainty regarding the future. There are significant limits of knowledge, particularly in the social sciences. Philosophers of social science have laid out the dialectical dualities limiting our socioeconomic-political understanding: individualism versus holism; determinism versus voluntarism (action); mechanism versus contextualism. Thus a key responsibility of the urban planner in addition to urban knowledge (and its limits) is curiosity: constantly seeking new understanding of the urban community. Central to an urban planner's professional role is linking the descriptive and the normative. As logicians argue, while we might observe “the cat is on the mat,” that does not mean “the cat should be on the mat.” A fundamental planning role is coherently moving the very difficult path from descriptive explanation to prescriptive understanding. The ultimate role of the planner is to help a community become a better place, meaning a planner needs sophisticated understanding of the norms of value, aesthetics, and morality in urban life. The normative is fundamental, incorporating belief, emotion, and action. This means moving beyond architecture and physical artifacts and pursuing a better quality of living experience. Finally, as I am celebrating my 88th birthday, I have general concerns about macro-circumstances surrounding urban planning today and their future implications. The profession faces serious problems from global warming, increasing urbanization, and so on, as noted at the outset. These we hear about frequently. However, there are major sociopolitical trends that seem likely to have serious impacts on urban planning yet have relatively little discussion either in the planning literature or in the general public media. We engage in urban planning in a climate of growing economic corporate dominance. Government and capitalism are linked together in dialectical tension. Capitalism cannot exist without government, and government obviously relies on capitalism, but in the process, the contradictions are plentiful. Capitalism cannot prosper without streets and highways, potable water, effective waste disposal, policing to maintain social order, and educational and health systems that supply an educated, healthy workforce. Even those corporate actors participating in the global economy depend on government-supplied airports. Governments rely on capitalism to supply products and services that government cannot supply as easily or efficiently, or that cannot reach beyond fixed and arbitrary political boundaries. As planners we sit in the nexus of this dialectical relationship. The corporate and government relationship is dynamic and, frankly, foreboding. While we have seen that the dictatorship of the Soviet Union based on central planning failed, current trends in so-called “free market capitalism” also poses serious problems. We are moving increasingly toward a corporatist economy as distinct from a free market economy. In the process, oligopoly has come to the fore in many key parts of the economy, such as energy, food, technology, the media and even retailing, with the rise of big-box stores. And growing inequality is finally recognized in contemporary talk. Yet the truly underlying causes of inequality are seldom discussed seriously: There is only superficial political talk about this. Corporate power is in a growing position to dominate the market-government dialectical relationship. The U.S. Supreme Court has strongly reinforced this tendency. In effect, for the majority of the Roberts Court, corporate power has legal precedence. Corporate power also gains in recent international trade agreements. Thus corporate power can and does dominate in cases of environmental protection, worker health, safety, land use, racial discrimination, and standard of living. Such power can be seen as a prevailing influence on urban planning practice. In the United States, the history of community development has very much been dictated by developer corporate interests. This can be seen in the group behaviors of the people in the housing real estate market as they work on a day-to-day basis. Racial and social class segregation was a major problem in the United States when I was a graduate student in the 1950s. The problem has never gone away; it is still very much with us (despite passage of the Fair Housing Act of 1968). Institutional patterns that mark daily housing market operations reinforce segregation, and the practice of urban planning at the local level has mostly tended to go along with this. A number of us in academia occasionally mark this, but there is little truly understood about it and only minor actions to address it. I try to outline the complex institutional pattern in one chapter in my book, but actually intervening in the daily institutional localized habits and activities of brokers, investors, landlords, developers, and the like is not easy and is rarely attempted, even by urban planners. This, then, is my career to date. I have to say that, so far, it has been satisfying, enjoyable, challenging and — yes — often perplexing. I have worked in housing, urban renewal, transportation planning, social planning, and environmental planning. While I feel that the planning profession has made some progress in all of these areas, I am nevertheless still significantly disgruntled. The 2015 Paris conference on the environment consists only of pledges and not action. Transportation had its heyday in the 1960s with the construction of interstate highways but today faces serious limitations in maintenance and funding. Social planning has, at best, made only limited progress (especially in a world where heat is on the rise). Our profession still needs to try to more fully understand the deep underlying forces that generate the continuing difficult conditions of urban life and to prod urban citizens and politicians to undertake more effective action to overcome them. As a person with increasingly diminishing strength and mobility, regrettably, I can only provide exhortations to students to push them to do the things that my generation has failed to do.